I have a confession to make: I don’t really like Bruichladdich’s whisky. They’re the geek touchstone; the independent Hebridean distiller that showed that the little guy could go it alone; the home of Jim McEwan, his crazy experiments and his even crazier tasting notes; the one with their own shade of blue. However, with a very small number of exceptions, I’ve not enjoyed a bottle with the word Bruichladdich on it since I got into whisky. So, when I found one I liked, I thought I’d better make a note of it, especially as it’s one I assumed I would hate – Bruichladdich X4+3. 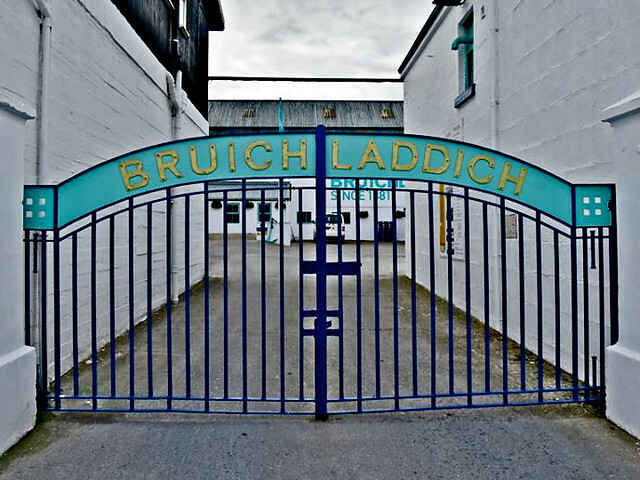 Bruichladdich are well known for their experiments, and, over the last decade, a scary number of them have hit the market – when I wrote about them four years ago, they had 68 distillery bottlings available on Master of Malt’s website, and most of them were small runs of craziness. They’ve calmed things down considerably these days, but you can still find some of the older bottles around, including, X4+3, one that I’d been deliberately avoiding a while. 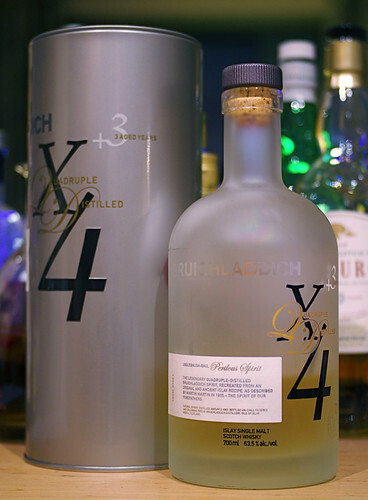 X4 was the name they gave to a quadruple distilled experiment. The spirit was distilled at 11.30am on February 27 2006, a year before they produced the quadruple-distilled, heavily-peated spirit that became this year’s Islay festival bottling of Octomore Discovery. 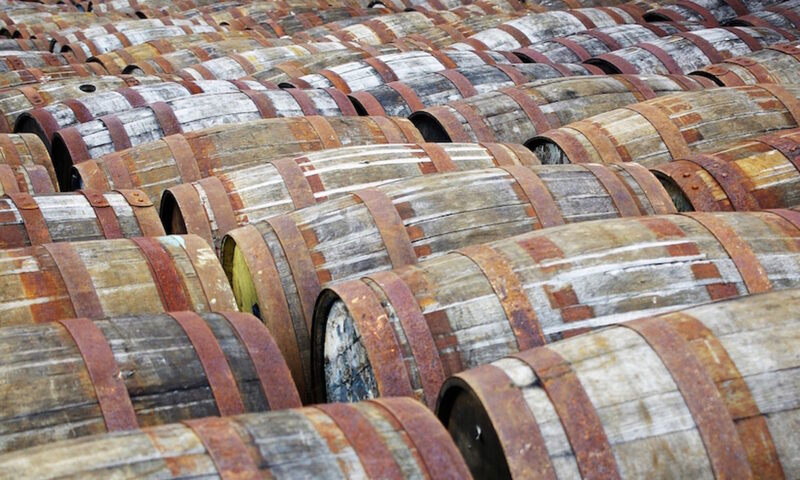 While their first release of the spirit was unaged, they also produced the +3, aged for three years, the minimum amount of time that whisky legally has to be aged for. 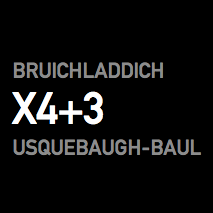 While the next line (“The Trestarig and Usquebaugh-baul, are both made of Oats”) detracts somewhat from Bruichladdich’s experiment, they (using malted barley) produced both Trestarig, released in a very limited fashion, and Usquebaugh-baul: X4. It’s quadruple distilled spirit, taken up to 90% ABV, removing much of the flavour in the process, which is then matured for the shortest amount of time they can get away with: it’s a recipe for whisky that I’m not going to like. Hence my surprise when I did. Nose: Butter icing and royal icing sweetness, balanced by sharp fruit – unripe mango, pink grapefruit, grapefruit skin, lime fruit gums, Seville oranges and granny smith apples. Palate: Strangely soft to start, with butter and the fruit from the nose. Intensity grows, with sweet liquorice, citrus pith and peel, and lots of sharp apple. Touches of woody spice creep in around the edges, but are overwhelmed by fruit. Water (it is bottled at 63.5%): On the nose it gets oilier, with a touch of two stroke and linseed oil, the fruit combines into a single citrus heavy mess and some spicy grain notes come out. The palate softens and gains a bit of sweetness, as well as a slug of new make spirit. Finish: Very short, fading away to nothing in a burst of sweet, green grassiness. Scarily, it works best at full strength, although it can take a good slug of water if your tastebuds still have some life in them, and is incredibly fruity. It focuses on the grapefruity end of citrus, which is something I search for in whisky, and it’s what sold me. You can still find it around, and it’s definitely worth seeking out a dram. @cowfish @BillysBoozeBlog Just went back to my bottle and you’re dead right about that Grapefruit Note Billy. @maltwhiskybar I think I’ve had it in one of the bicentenary Bowmores, and also in some of my favourite coffee. Always searching for it. Duane Connon liked this on Facebook. dear me. for science’ sake..
@cowfish @Rockyajl @maltwhiskybar @BBRrob I should not have clicked that link. Temptation… indeed. @sjoerd972 @cowfish @Rockyajl @BBRrob Not too badly priced. Considering. I used to like Bruichladdich when I just started drinking more luxurious bottles (so, anything over Famous Grouse, really). I even thought about collecting them, but then I realized how many were available, and how random the quality was. @maltwhiskybar @cowfish @Rockyajl @BBRrob Indeed. And I remember loving it when I tried it. A chappie in my local booze dispensary persuaded me to take a bottle of Bruichladdich Islay Barley the other day. I’m not convinced yet although I’m no connoisseur of course. It’s good to know that it is actually an independent distillery as opposed to just some niche branding experiment by Diageo. Well, it was an independent. It’s owned by Rémy Cointreau now, although they are seemingly being left alone to get on with things. @sjoerd972 @maltwhiskybar @cowfish @Rockyajl Temptation is a wonderful thing! @cowfish @BillysBoozeBlog Love it. Hard to find a bottle these days. @Bruichladdich Fortunately @WhiskyExchange still have a few – it went down very well at @whiskysquad the other week. @BBRrob @maltwhiskybar @cowfish @Rockyajl I can resist everything, except temptation. So it indeed is a miraculous thing.